What You Will Hear: Cheap synthesizer mixed with playful orchestra. Will You Be Humming Along? The recognizable material for Gru and the Minions is rarely used. Will I come back to it? Meh. There are two main reasons I won’t be back. First, this score has all the fun slapstick and comedy of the first two outings. 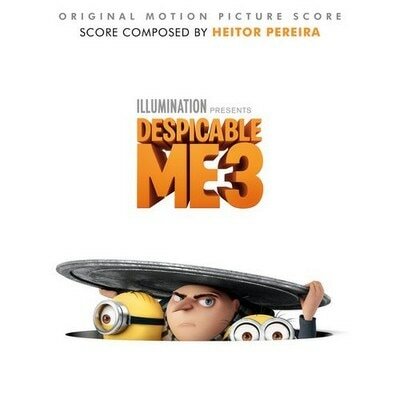 But, it is lacking Pharrell’s “Despicable Me” material. There’s no mischievous edge. Second, the synthesized flute and string flourishes sound like they were added in during the final mixing. They just make the production sound fake and maybe even a little rushed. I did enjoy some of the more “bad-guy-Bond” moments that are a staple of this series. But, in the end, some fun ideas get lost behind a lack of creativity and loyalty to Gru’s character.